The History of Opioids: How Did the Epidemic Begin? Substance abuse is a major problem in the United States. Most people don’t know the full extent of opioid abuse on those who are frequent users. When did opioids first start? Who made them? Why does America have so much trouble with opioid addiction? To understand the present problem, you first need to know the history of opioids. See how these drugs came about, and how they’ve become a problem for Americans. The term opioid comes from “opiates.” Opiates themselves have been around for centuries, helping with many ailments. The first opiates came from poppy seeds, which they turned into opium and used for pain or sleep. In the 1800s, morphine was created from opium, resulting in another addictive substance. 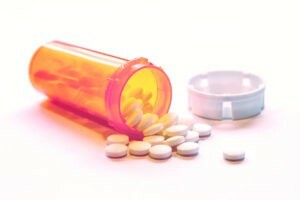 Opioids and opiates aren’t the exact same, yet they are sometimes interchangeable. Opioids are synthetic drugs that are very addictive. And, even though they contain morphine, they are not opiates. It would be wrong to say addiction to medication wasn’t a problem before the 1990s. Of course, it was there, and people still abused prescription medication. But, the real foundation for our current epidemic started in the ’90s. In the early 1990s, Purdue Pharma introduced Oxycontin. This synthetic opioid was marketed as a pain reliever that could be controlled. Pharmaceutical companies stood their ground, saying these opioids weren’t addictive. With the number of doctors prescribing opioids, sharing (diversion) took hold. More and more users were giving their family and friends pills. It wouldn’t be long before this became an even bigger issue. By the 2000s, the U.S. was beginning to see more deaths caused by opioids. As a result, there were efforts to stop the practice of over-prescribing. What wasn’t foreseen was the shift to illicit drugs. With the inability to get oxy, or the other opioids like it, people turned to cheaper drugs. Deaths from heroin use surged in the mid-2000’s: every year had a 37 percent increase. Not only does heroin contribute to the rising drug problem, but it also increases AIDS/HIV. Hepatitis B and other infections are furthered by the use of needles. These drugs, and more, result in thousands of deaths each year. Drugs such as Fentanyl have been mixed and sold on the streets when prescriptions stop. It’s no wonder American’s are dying every day. The history of opioids is long and dark. It’s seen many who couldn’t resist the promise of a pain-free life. Have you been a part of this history? If you’ve faced the dangers of opioid addiction, you know the difficulties of getting free. At Taylor Recovery, we want to help you pull free of prescription drug addiction. Don’t repeat history; start your treatment by calling us today.